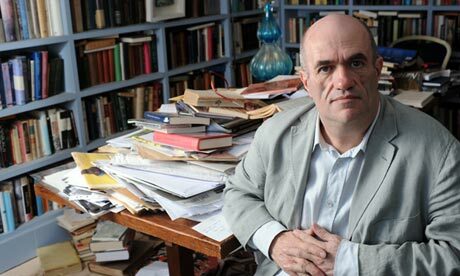 Irish writer Colm Toibin received the news that his controversial play The Testament of Mary, which tells the story of Jesus’ mother in her old age, was nominated for a Tony Award for Best Play last Tuesday morning. But an hour later he learned the news that poor ticket sales meant the show would close earlier than planned, after only 43 performances on Sunday, May 5. Toibin, an award-winning writer whose critically acclaimed novel Brooklyn, about a young Irish emigrant’s arrival and transformation here, is scheduled to be filmed starring Rooney Mara, was philosophical. Broadway is a tough nut to crack, he told The New York Times. Only 25 percent of the plays that debut there ever turn a profit. Knowing that simple fact made the bad news easier to accept and didn’t take the shine of the play’s nomination. Mentioning he heard the news about the closure directly from the play’s producer Scott Rudin, Toibin reflected on the production’s successes. “About 30,000 people will have seen the play over a six-week run by the time it closes, with a standing ovation every night,” Toibin told the Times. The Catholic News Agency, which criticized the production since it opened, also slated Toibin as an ex-Catholic. The Testament Of Mary “depicted the Virgin Mary as a doubting skeptic who thought Jesus died in vain, and failed to attract a large audience and closed on Sunday less than two weeks after it opened,” they wrote.